We have a new refreshments schedule since we relocated to the First Parish Church in Duxbury. The Cafe is available AT COFFEEHOUSES ONLY before the show and during intermission. The South Shore Folk Music Club will provide coffee, tea, soft drinks, water and apple cider (seasonally) along with a variety of baked desserts and pastries will be available to purchase. 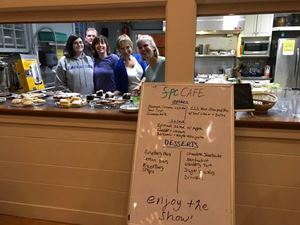 The First Parish Church has a group of incredible cooks and foodies that make a free will offering dinner and dessert that is out of this world. The food changes every time, and they post the nights menu on a board, often it includes vegetarian options and is always delicious. 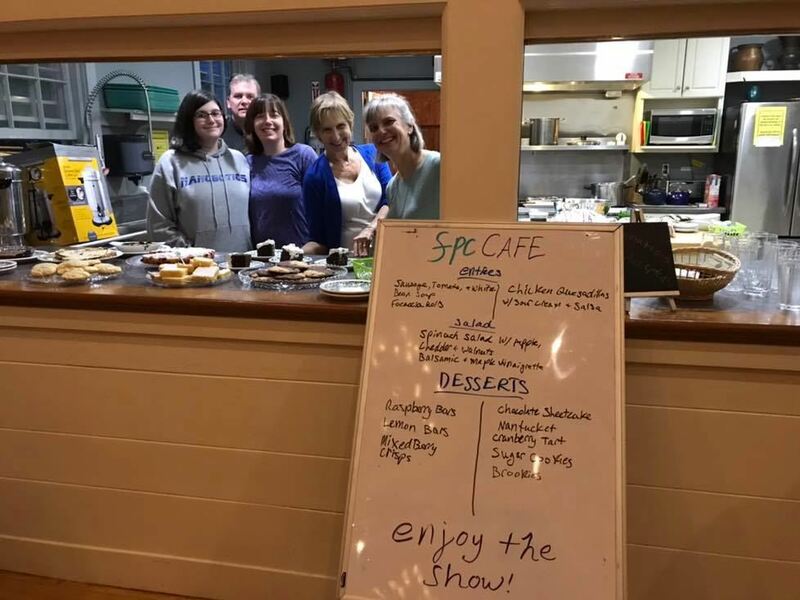 The First Parish Cafe makes delicious dinner and desserts on coffeehouse night! We are so grateful!